Hobbits & Hairdye: Instagram Diary | An Update. Instagram Diary | An Update. 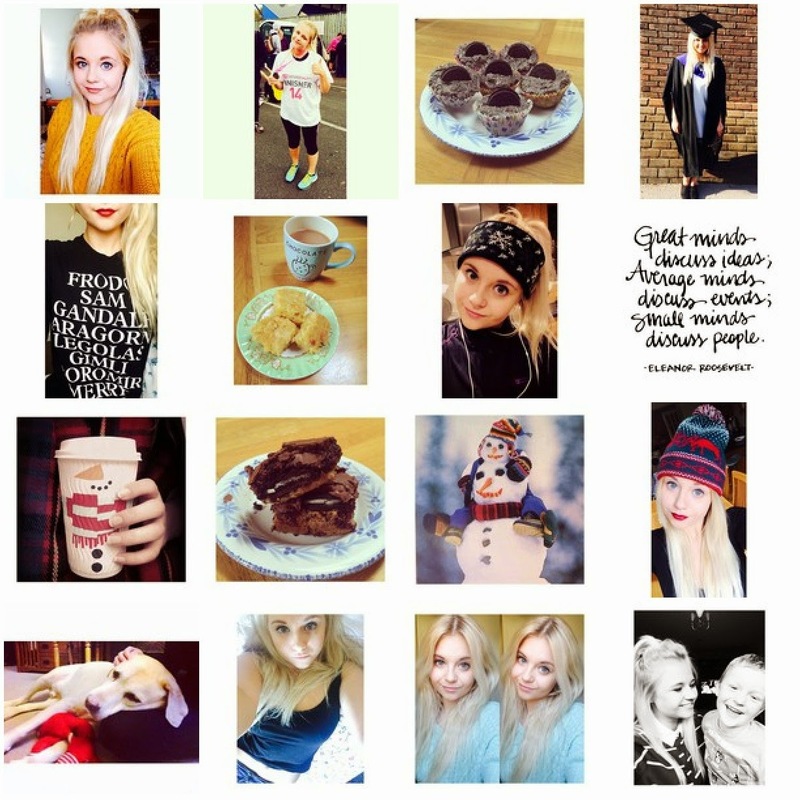 Mustard Selfie | Half Marathon | Oreo Cupcakes | Graduation | LOTR Jumper obvs | White Chocolate Blondies | Winter Running gear | Important Quotes | Christmas Costa | Slutty Brownies | Do You want to build a snowman | Christmas hat | Sundays are for doggy cuddles | Lazy Day | Seeing Double | Family Love.